Avail special deals on sending above USD 10,000. Click here to know more. Money transfer to India from USA is fast, easy and secure with Remit2India. You can transfer money to India instantly for family needs, investments, EMIs, loan payments and property purchases. 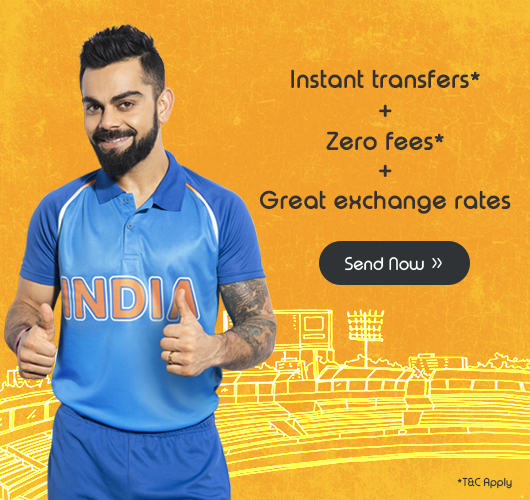 With best exchange rates and zero fees, Remit2India is the best way to send money to India from US. How to transfer money to India from USA online? 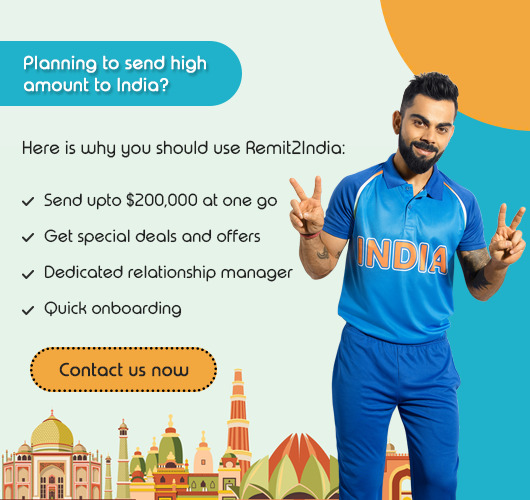 Remit2India is a completely online money transfer service. For sending money to India from USA, you need to register with us just once. Post registration, you can send money to India in just 3 easy steps. You just need to add your bank account, select the payment mode, add the receiver details and submit. Money will then be transferred and you will be notified instantly. There are no fees charged if the sending amount is more than $999. Remit2India offers ACH Transfer and wire transfer options for sending money to India from US. Select the best option suitable as per your requirement and send money directly to any bank in India. 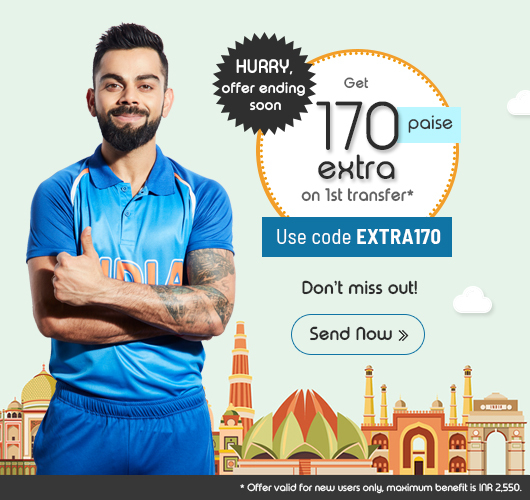 Instant money transfer service to India enables you to send money instantly. Disclaimer: Remit2India services in the USA is offered by Moneydart Global Services Inc. (NMLS ID No. : 1026711), a New York corporation having its registered office at 1000 Woodbridge Center Drive, Woodbridge, NJ 07095, USA.